In April, Birthday Blessing celebrated the birthday of 10 children Jason, Rickey, Marcus, Shannah, Helen, Rylee, Joseph, Jaedon, Joel and Colby. Click the link below to view the article. 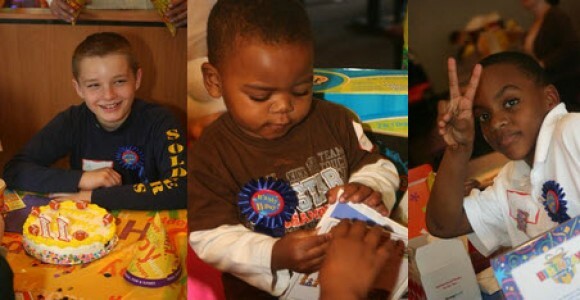 On March 22, we celebrated the lives of Matthew, Mason and Jaden. It was a glorious day and many lives were touched. Watch the WFAA TV-8 News clip below.